In November 2017 Veeco and ALLOS Semiconductors announced that the two companies have completed their micro-LED strategic initiative and demonstrated 200mm GaN-on-Si wafers for blue and green micro-LED production. ALLOS proprietary epitaxy technology was transferred onto Veeco's Propel Single-Wafer MOCVD System to enable micro-LED production on existing silicon production lines. Yesterday ALLOS and Veeco announced the completion of another phase of their mutual effort to provide the industry with leading GaN-on-Silicon epiwafer technology for microLED production. 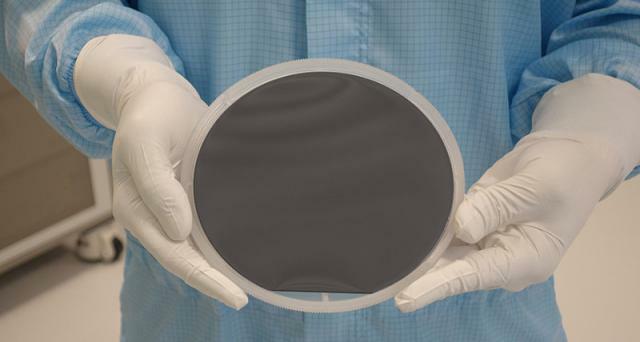 The two companies now demonstrated the reproducibility of ALLOS’ 200 mm GaN-on-Si epiwafer technology on Veeco’s Propel MOCVD reactor when producing epiwafers for many prominent global consumer electronics companies. Veeco says that the joint efforts confirms that Veeco's MOCVD equipment and ALLOS' Gan-On-Silicon technology can provide customers with a novel, proven and reliable approach to accelerate microLED adoption. According to Veeco and ALLOS, micro-LED chips are too small for standard sort and bin methods, and so wavelength consistency has to be achieved by high uniformity epitaxial deposition. Depending on the application and mass transfer approach, the target requirements of the industry are between +/-1 nm and +/-4 nm bin (min/max) on the epiwafer. Through this collaborative project, Veeco and ALLOS further improved the critical wavelength uniformity with the best wafer having a standard deviation of just 0.85 nm, representing an industry first on a production system.